Pretty soon you'll know a lot about Kevin because his biography will actually be filled in! Jan 8th - Analysts with HSBC are placing their bets on 2016 being the year we see a true folding smartphone launch from Samsung. 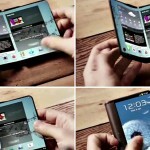 The phone would take advantage of Samsung’s flexible OLED technologies in ways we have not seen on a consumer-grade device to date. Jan 8th - While not officially confirmed, word has leaked that Sprint will do away with two-year contract options for new subscribers as of today, January 8th. Sprint will be the last of the major four carriers to do away with the option for new customers. Jan 8th - Lenovo has announced their latest partnership with Google, one that will see the launch of the first Project Tango smartphone aimed at consumers. While official details on the device’s build are scant, the phone will feature a display under 6.5 inches (shocker) and Qualcomm Snapdragon processing in addition to camera hardware that will enable it to view the world in a three-dimensional way. 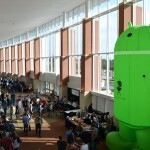 Jan 7th - IDEAA, the group behind some of the biggest Android fan events around the globe, has announced its 2016 event schedule, including dates for the Big Android BBQ, March of the Droids, and I/O Meat and Greet. 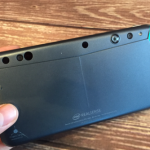 Jan 7th - Google’s Project Tango is inching one step closer to consumer’s hands with Intel’s RealSense Smartphone Developer Kit, and that developer kit would be complete without the ReaSense developer phone. That phone is up for pre-order now for $399. 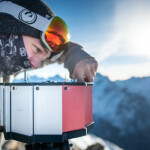 Who needs a fancy 360 camera when you have a dozen Sony Xperia Z5 Compacts? Jan 7th - This year’s CES has been big on VR and the shiny new 360 cameras that come along with it, but Sony is out to prove that you don’t need such fancy gadgets to capture stunning, immersive video. No, you only need the power of twelve Sony Xperia Z5 Compact handsets, all set to record simultaneously in 4K. 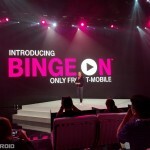 Jan 7th - T-Mobile announced in a statement today 14 new partners joining their Binge On lineup of on-demand streaming content. New options include cable TV standards like A&E, Lifetime, and History. Jan 7th - Samsung didn’t have much news for wearables at this year’s CES, but they gave us the next best thing to a full-fledged new device. Platinum and Rose Gold color variants were announced for the Samsung Galaxy Gear S2 Classic, bringing some classy new options to the lineup of smartwatches. Jan 6th - In post to the company’s official Weibo account, Xiaomi co-founder Li Wanqiang divulged some new info about their upcoming (yet unofficially announced) Mi 5. 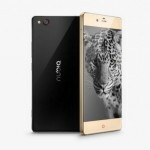 The device has already entered mass production ahead of its newly revealed release. 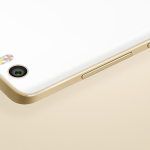 The Xiaomi Mi 5 will be available on February 8. Jan 6th - Google has released its latest figures for Android platform version distribution with no big surprises. Lollipop and Marshmallow continue to grow their presence as older versions decline in usage, with the biggest gains coming for Android 5.1. Jan 6th - New Balance, known best for their line of shoes and athletic apparel, announced today a new initiative that will see the company push into new territory. 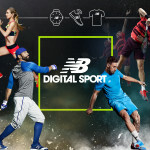 A newly formed Digital Sport division will head up a new focus on digital experiences and wearables for athletes. 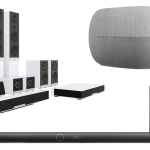 Jan 6th - As CES brings us more and more announcements of new Android TV and Google Cast devices, Google has announced a slew of new manufacturing partners that will help turn their vision of the connected living room into reality. Highlights include Harman Kardon, Bang & Olufsen, and Onkyo. 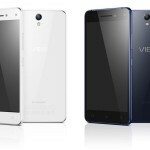 Jan 5th - Among its CES announcements Lenovo has introduced the VIBE S1 Lite, an affordable midrange smartphone that packs a feature set that could easily demand a price tag much higher than the $199 it will sell for. Combined with Lenovo’s understated approach to design, the VIBE S1 Lite makes for a quietly compelling device. Jan 5th - Direct-to-consumer smartphone sales are nothing new by a long shot, but they certainly have grown in popularity as a tactic now employed by several major handset manufacturers around the globe. The latest is ZTE, whose Nubia subsidiary will expand its reach and move into direct sales of premium-grade smartphones in the near future. 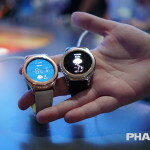 Jan 5th - Fossil’s Q line of smartwatches is perhaps best known for the Android Wear-powered Q Founder, but the company is returning to its roots with the new Q54 Pilot. 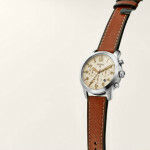 The Pilot is an aviation-inspired traditional watch design that doesn’t sacrifice modern advancements.